To speak with our residential intake department, please dial 212-663-3000 x2042. Considering stable housing an essential element of recovery, The Bridge is committed to providing the critical services and support that individuals with serious mental illness need as they transition from homelessness or an institutional setting to more permanent housing. The Bridge's transitional housing programs are designed to help clients prepare for independent living in a safe and supportive environment. Clients have access to a variety of onsite services, including case management, medication management, and therapeutic groups. Clients generally remain in transitional housing for several years, depending on their personal needs. Once ready to move on to permanent housing, Bridge staff assist clients with the application, interview, and moving process. For many clients, setting and working towards personal goals for independent living is an empowering process that adds motivation to their recovery. The Bridge's person-centered approach encourages clients to develop their own personal goals for a more independent life. Building life skills and pursuing self-directed goals, with the guidance and assistance of Bridge staff, enhances clients' mental and physical health and sense of well-being. Clients/residents enjoy the garden at 111th Street. 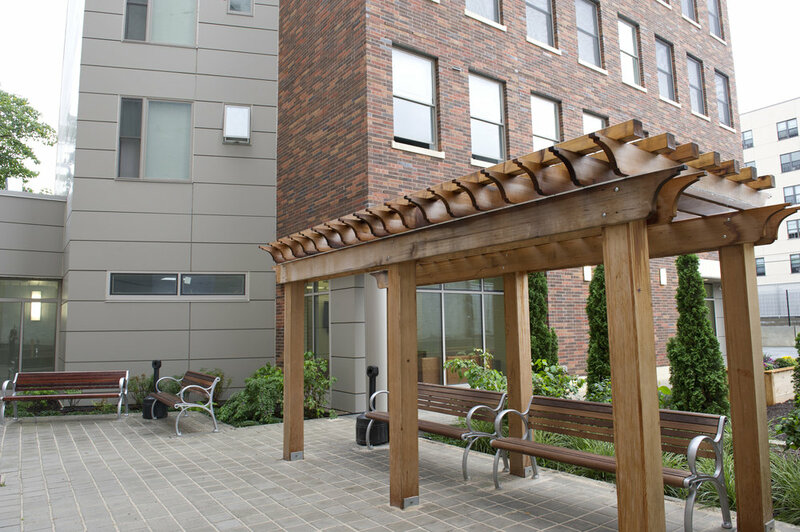 Most of The Bridge's transitional housing programs are in congregate buildings, which provide residents with a sense of community as well as a variety of on-site services. Each building houses between 15 and 60 clients in studios or shared apartments. Residences offer communal outdoor spaces for recreation, relaxing, and social gatherings. Many Bridge residences also offer Special Initiatives programming, such as Creative Arts and Urban Farming. All congregate transitional housing programs have 24/7 staffing. 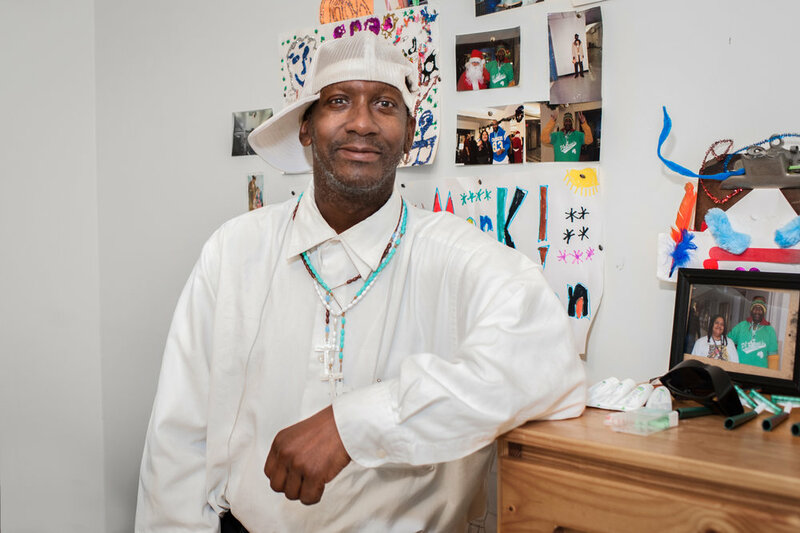 The Bridge’s supportive housing programs focus on the needs of homeless and housing-insecure single adults who are diagnosed with behavioral health disabilities. We do not have supportive housing programs designed for couples and families. To learn more about this application process, please visit the CUCS website. Please know that we receive a high volume of applications each month and submitting an application does not automatically secure housing.